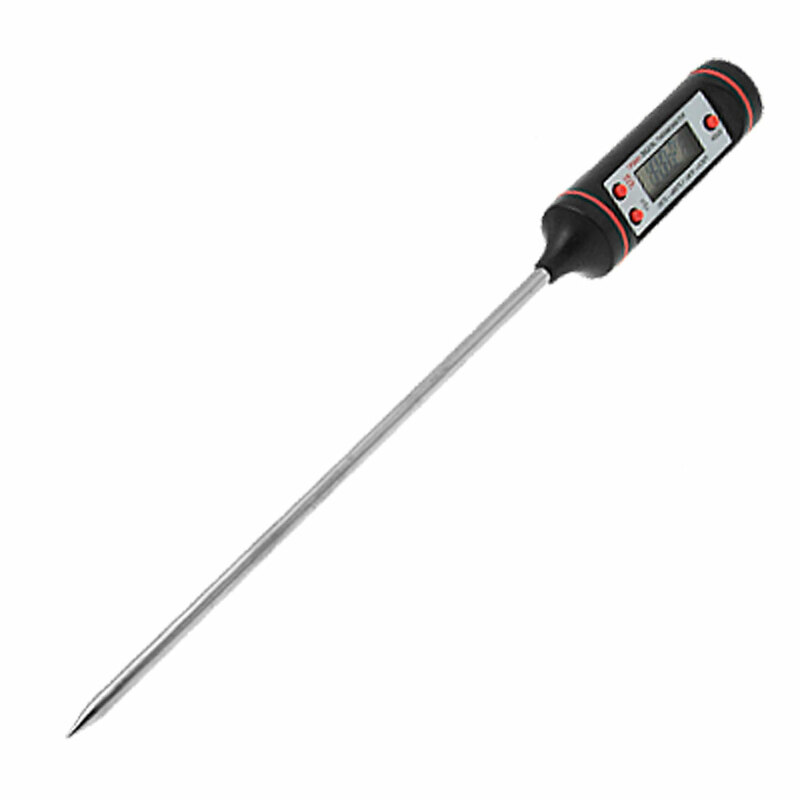 Digital LCD Food Thermometer is made with LCD display, easy reading. Low battery consumption, high stability and accuracy. Accuracy: ±1Celsius ( -20-80 Celsius ). Measuring Frequency: 1 Sec,10 sec, sleep, auto select. The Food Temperature Sensor is powered by 1x 357A button cell. On/off, Fahrenheit or Celsius and hold buttons. Comes with a long plastic tube and a blue handy strap for easy carrying. Total Size: 22.5cm long. Approx.